Oh No! 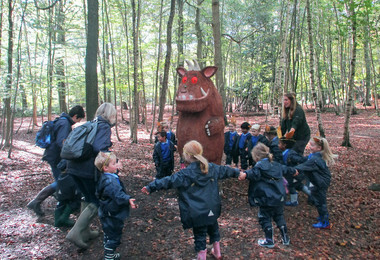 It's a Gruffalo! 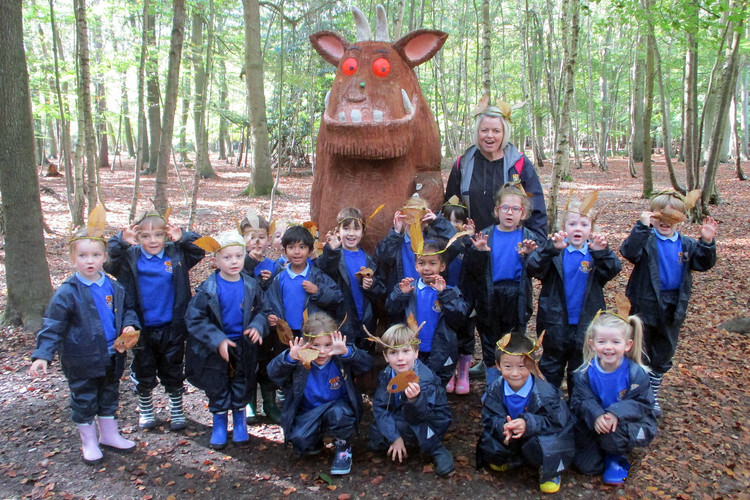 Reception pupils enjoyed a wonderful visit to Thorndon Wood before the half term break, meeting all the animals from ‘The Gruffalo’. 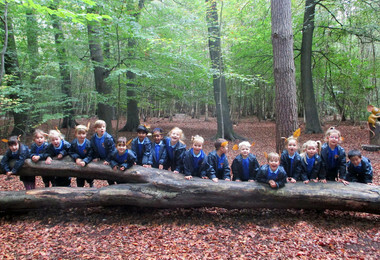 Pupils explored the forest, disguised as foxes or squirrels, wearing willow crowns decorated with natural woodland resources. 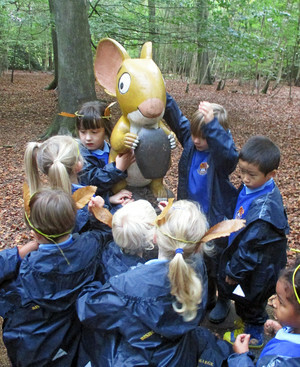 They also made owl ice-cream, fed acorns to the squirrels and made a small house for the little brown mouse. A great day out in the woods!